Pohorky for year-round trekking on mountain trails. GORE-TEX® waterproof membrane and self-cleaning outsole. The forest footpath slowly turns into a mountain walkway. Takmetimes you get some stone under your feet, and as you approach the top, your hands sometimes get to the floor. But nothing that should slow you down on the road to a magnificent view from the top cross. 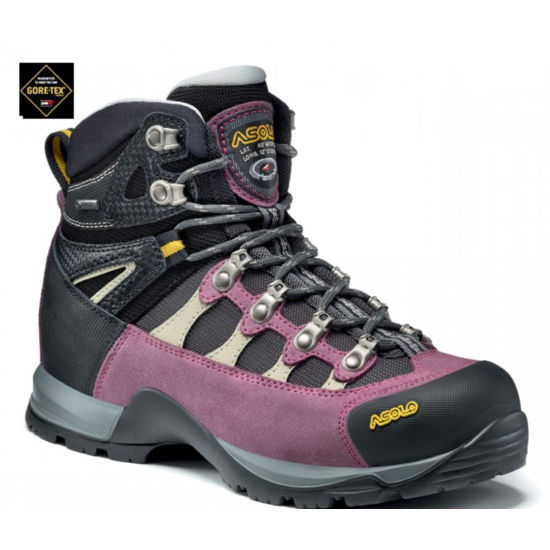 These Asolo Stynger GTXs are hampered by Asolo Syncro's self-cleaning pattern. Tak don't worry that the mud will wrap your sole and you will lose your confidence. It will not happen. GORE-TEX® waterproof membrane keeps your feet dry even when your foot slips into a mountain stream. And rubber padding will protect your thumbs from unexpected obstacles. Water-repellent skin 1.6-1.8 mm and nylon. Adhesive sole Asolo Syncro with self-cleaning pattern. Weight 550 g 1/2 pair.